Vodafone España is to give subscribers a year’s free subscription to Amazon Prime ahead of integrating Prime Video with its TV offering. 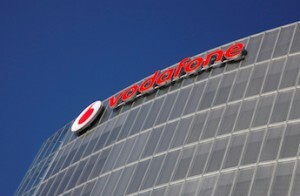 Vodafone One customers and customers of Vodafone’s Red mobile plans will qualify for one year’s free subscription to Amazon Prime, valued at €36. Vodafone said that its customers would be able to enjoy Prime Video as part of their Amazon Prime subscription, which was “part of the operator’s strategy of providing access to the best offering of movies and series” to its customers. Subscribers will be able to activate their Amazon Prime subscriptions from December 4 until January 7. From January 8, Vodafone One M and Red M subscribers will be able to choose one year’s subscription to either Amazon Prime, HBO España, Tidal or TV Online Fútbol – Vodafone’s truncated football offering – as part of their package, while Vodafone One L and Red L customers will qualify for two years’ subscription to one of these services. “We are delighted that our customers can benefit from the most popular services at all times. Furthermore, from January 8, our customers will be able to choose Amazon Prime from among the services included in their price plans,” said Andrés Vicente, director of residential customers. Vodafone is not yet offering Amazon Prime Video as an integrated part of its set-top delivered TV offering, although it has said that it will do so “as soon as possible”. Vodafone last month announced that it would be the the first Spanish operator to commercialise Amazon’s voice assistants Echo and Echo Dot as part of its smart home portfolio. Vodafone director of products and innovation Blanca Echániz also told Spanish press at the time that the company had been working with Amazon for some time and that it would add Amazon Prime Video in the near future, without giving details. Rival Orange has already announced that it is integrating Amazon Prime Video in its TV service. The company unveiled the move in November when it presented its new Android TV set-top and a raft of new packages, alongside the launch on its platform of Spanish movies on-demand service FlixOlé.